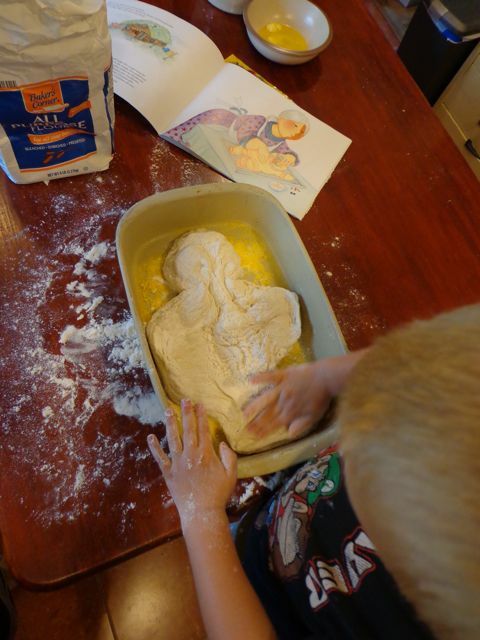 Over my seven years as a stay at home dad, I have learned a few things about including my children in a cooking or baking activity. First, it is very important to have all the ingredients and utensils ready before you begin -- you do not want to turn your back on a bowl of beaten eggs. 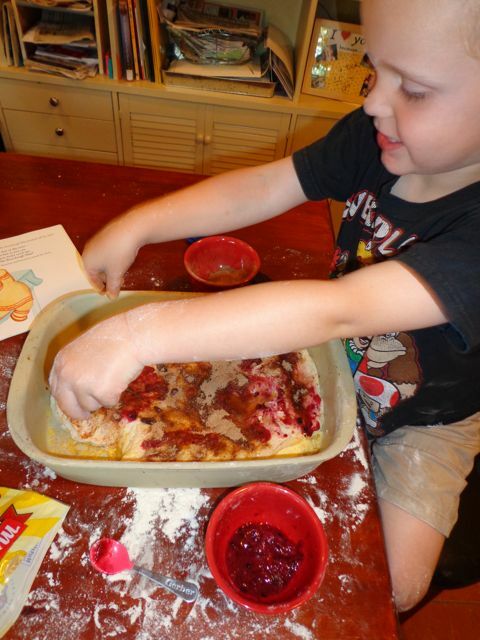 Second, my boys almost always need a change of clothes after helping in the kitchen -- sometimes even a bath. 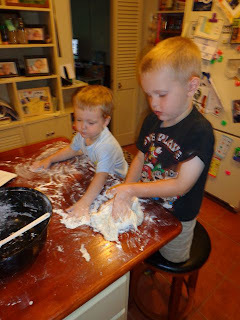 Third, one of the best things about your kids getting older is that you can say, "Get yourself a broom and clean up the flour that is all over the floor." But, possibly one of the worst things is that if the recipe includes chocolate chips you can no longer get away with sneaking a few into your mouth without them knowing. I have many delightful memories of our creations -- and messes -- in the kitchen. I think we made a few more this week when we celebrated Cherie Stihler's birthday. Cherie Stihler is the author of six picture books including The Giant Cabbage: An Alaska Folktale and Wiggle-Waggle Woof! : Counting Sled Dogs in Alaska. In the email that she sent me last year informing me of her birthday, she noted that she is the "#1 best selling Alaskana children's author" and "one of only four women steam engine engineers in North America". When she is not throttling a steam engine down the tracks she spends her days in Alaska as an elementary educator. On her website she mentions that she is, "one of the rare individuals who really likes finger-paints, glitter, Play-dough, and small children with musical instruments." (Cheriestihler.com). 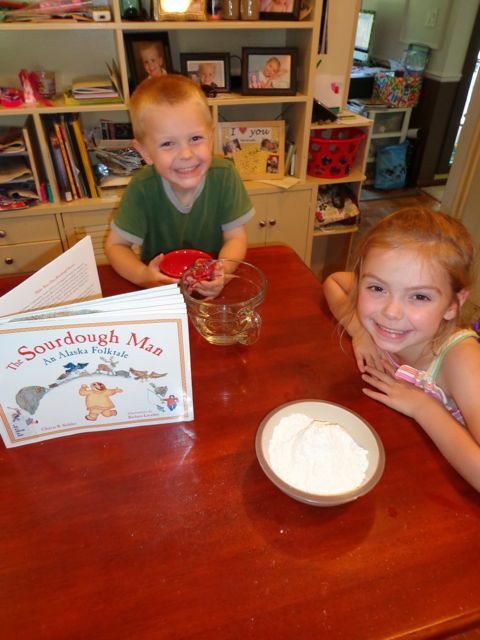 Her latest book, The Sourdough Man: An Alaska Folktale, illustrated by Barbara Lavalee, is an adaptation of the beloved The Gingerbread Man and The Runaway Pancake stories. 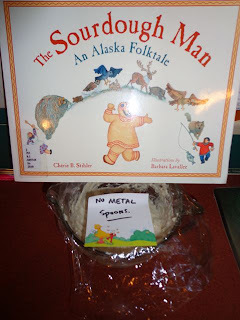 The Sourdough Man runs across the tundra as "fast as the river" to escape Grandmother, a musk oxen, a lemming, a raven, a ptarmigan, and many more Alaskan animals until he meets a sneaky arctic fox. Stihler also delicately weaves mentions of Alaskan plant life into the story -- tundra roses, lichens, bunchberries, lupines, etc. Many cultural references like atikluq, mukluks, sod houses, and of course sourdough are also included. 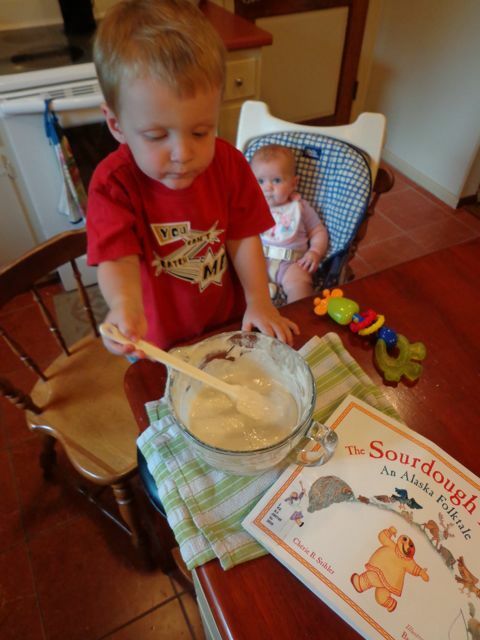 The book contains a history of sourdough in Alaska and closes with a sourdough starter recipe. Of course, we had to try! This activity made for almost a week long birthday celebration. 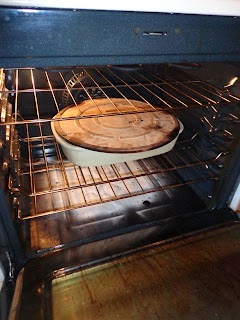 It takes many days to prepare a sourdough starter that will effectively bake bread. I am lucky that I had lots of helpers to assist me with the process! The recipe from the book walks you through exactly how to make a starter. The first step was to mix warm water, active dry yeast, and flour. Then, we let it sit on our counter for 3 days. It was mentioned in the recipe that no metal spoons were to be used in stirring the starter. So, I left myself a note. It was recommended to stir the starter two to three times each day in the beginning. My youngest son helped out on this particular day. Every 24 hours you must also remove half the mixture. 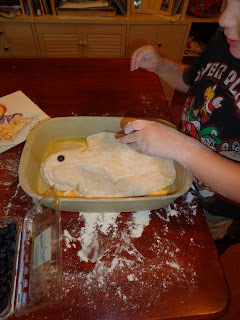 Then, you replace what you removed with more flour and water. In this picture my son is playing with the mixture that we removed. Once the mixture gets "frothy" then you can move it to the refrigerator. There are directions on how to continue to use this starter over and over again too! Our starter was ready between 3 and 4 days. 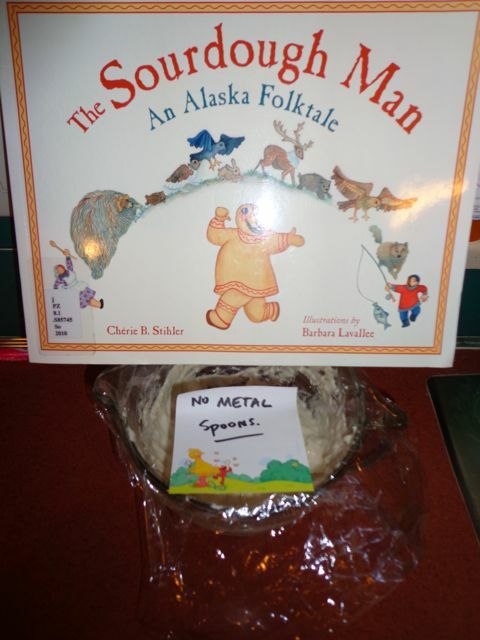 However, the book does not have directions on how to make a Sourdough Man. I used directions found on a website for baking sourdough bread. I followed the directions very carefully except we formed our bread into a man. 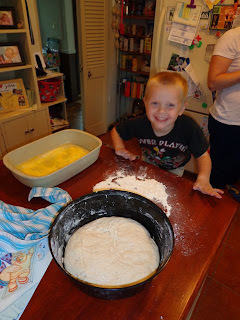 My oldest son, my biggest helper in the kitchen, was ready for the challenge of making The Sourdough Man. Our dough rose exactly the way it was supposed to! I was so thrilled that this worked! Many websites that I read suggested baking the sourdough in stoneware. 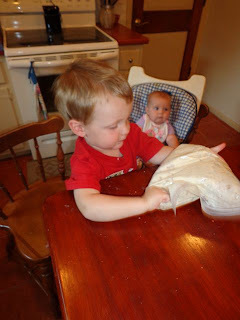 Here my son forms the sourdough into a man. 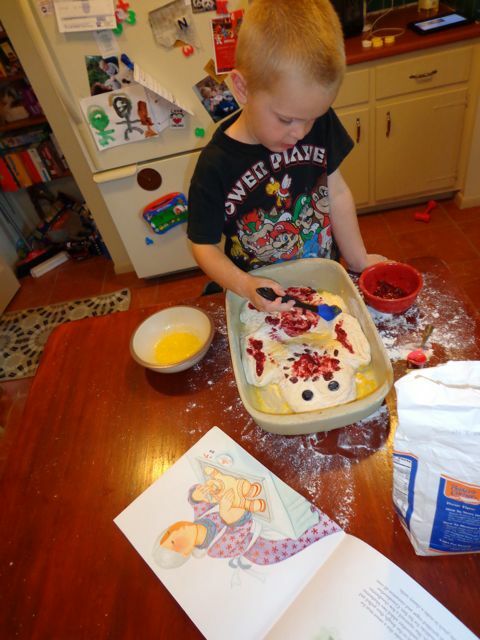 In the book, the grandmother adds blueberries for eyes and dried cranberries for the mouth. 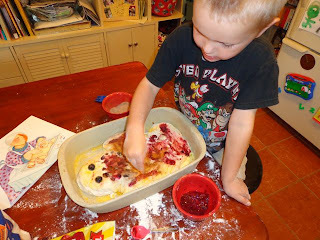 In this photo my son carefully places the blueberries. The grandmother also squeezes cloudberries to make an atikluq and mukluks for The Sourdough Man. We used mashed up blackberries and strawberries. 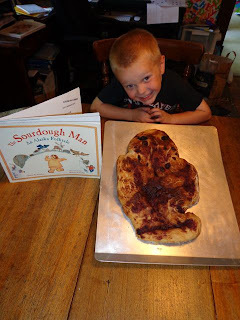 My son had a blast decorating his sourdough man. The grandmother brushed The Sourdough Man with butter and sprinkled with cinnamon and sugar. My son really loves cinnamon and sugar! He finished by giving The Sourdough Man, "a little pinch to make a cheery smile." 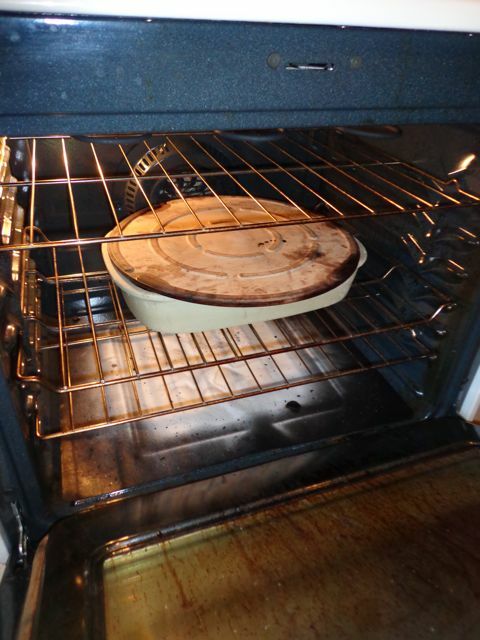 We baked him for about 45 minutes in my improvised stoneware baker. My son was so thrilled that he made this from beginning to end. It tasted GREAT, too! My apologies to the library as the book will be returned smelling like cinnamon and sugar and maybe will be a little sticky! Thanks Susanna! I really appreciate that you continue to come back to the blog and comment! What a wonderful activity. (And I think a cinnamon smelling book would be lovely.) 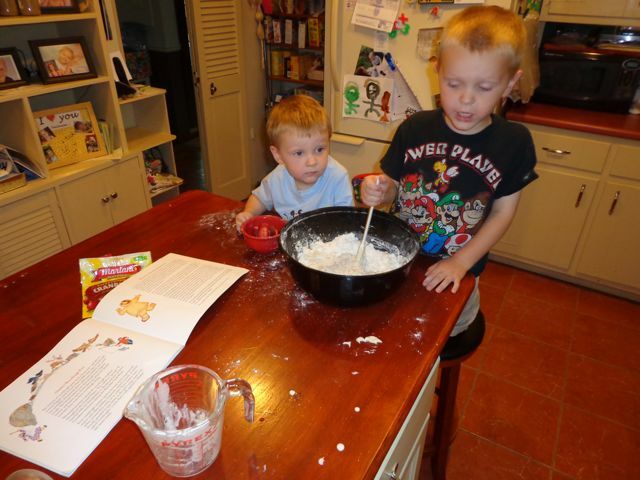 We also like baking around our house. 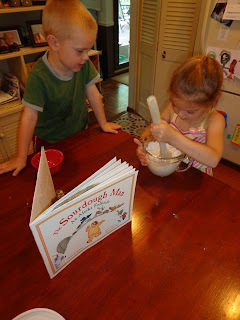 We will check out this book and try the recipe ourselves! Hannah, I think this activity would be a lot of fun for your family. Maybe your ABC Spice book could be a scratch and sniff! Happy birthday, Cherie! That sourdough activity looks like lots of fun. What an awesome idea! Thanks Kirsten. I am very thankful that you stopped by to read the blog!